Twenty years ago Rio Summit raised global issues of ecological concerns and sustainability. This year Rio+20 conference will take an overview of past two decades and suggest program for the future we want. One of the issues related to ecology and sustainability is measurement. This is not just a matter of curiosity, to establish «sustainable development goals» we should have good enough metrics and indicators of sustainable development (as someone nicely put it «You never have to be ‘absolutely sure’ of something. Being ‘reasonably certain’ is enough»). Unfortunately, until now we have no commonly agreed set of indicators or one «sustainable human development index», despite of many efforts in this area—WorldBank Adjusted Net Savings, Yale Environmental Sustainability Index, UNU Human Sustainable Development Index, just to mention few. One principal issue in «sustainable development» measurement, in my mind, is conceptual non-clarity what exactly are measuring: development or sustainability? And what sustainability means? If we would like to have «sustainable [human] development index», it should take both—achieved level of development and ability to sustain achieved level. Looking to either of these aspects is not enough. One could get high on «development» scale, but it says nothing about possibility to go on with this achievements (resemble Greece current crisis, isn’t it?). On the other hand, lower level of «development» could lay on more solid ground, which make it more sustainable. Soon after Rio Summit Armenia start working on incorporation of sustainability aspects in Human Development Index. Resulting proposal with examples for two countries (Armenia and Georgia) was published in 1995. Proposed «Sustainable Human Development Index» adds fourth environmental component to three initial dimensions of human development, health, education, and living standards. Environmental component itself includes two sub-components—environmental state of a territory (4 indicators), and the environmental evaluation of human activities (7 indicators). In the framework of Rio+20, Armenia is organizing side event to discuss possible options for Sustainable Development Index Methodology. We helped armenian team in structuring the approach to sustainable HDI in the light of recent development—changes in HDI index introduced in 2010, and extended approach to sustainability, which goes beyond ecological aspects only. 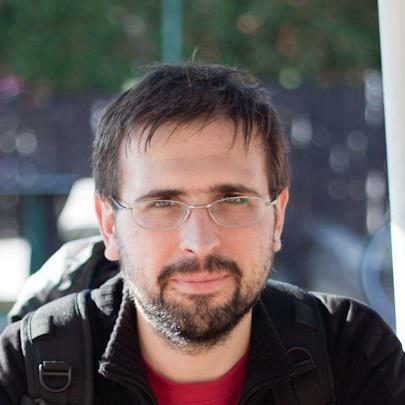 What is the purpose of the index: Global or National? What is the way of integrating the environmental aspects? What is approach to sustainability: narrow (environment only) or broad (in all areas)? 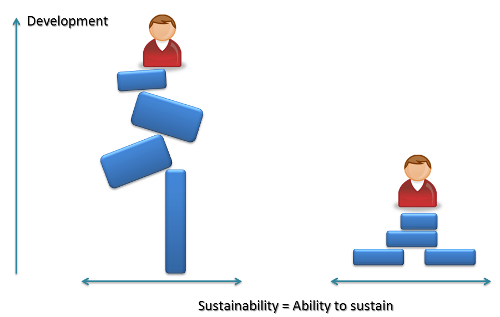 What is the type of sustainability: weak (e.g. WorldBank Adjusted Net Savings) or strong (e.g. Ecological Footprint)? 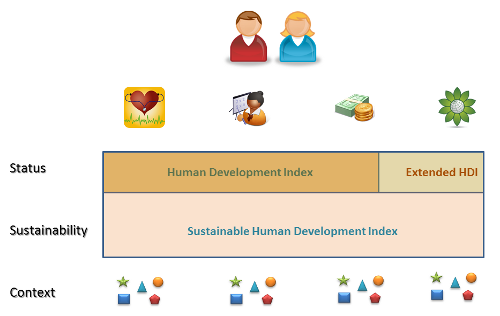 What are the links to other human development indexes and indicators? What is weighting procedure: for dimensions and indicators? How we do attribution of the ecological damage—by place of production or by consumption? Without properly addressing these questions, one could risk to end up with strange figures in hands and unexpected interpretation of index. The resulting proposal for Sustainable Human Development Index answer all of them. In design of Sustainable Human Development Index we decided to give priority to national relevance, while keeping in mind necessity for international (or at least regional) comparisons. We decided to take a broad approach to sustainability, looking on ability to sustain not only natural environment, but also economic and social ones. Fourth dimension was added to the Human Development Index, to incorporate state of environment, as we value «ability to live in clean and balanced natural environment», in the same way we value abilities to «live long and healthy life», «being educated and having access to knowledge», and «enjoying decent standards of living». Resulting Extended Human Development Index (EHDI) includes only indicators of status of natural environment in five areas: quality of water, quality of air, state of soils, state of biodiversity, and habitat. This index says us what we achieved, without saying how it was achieved. To answer the question how it was achieved and if we could maintain achievements, we added separate tier to the index—sustainability. Indicators in this tier says about ability to sustain achieved level (i.e. do we have debt big enough to threat our current wealth?) in all four dimensions of human development (including natural environment). These indicators penalize or reduce achieved level—if you have extremely high water withdrawal level your currently nice environment will disappear, as it happened with the Aral Sea. Resulting index is Affordable Human Development Index (AHDI), which should be judged against Extended Human Development Index (EHDI), looking how big is part of development (what we achieved), which is lost due to non-sustainability (how we achieved). The same approach is used, by the way, in Inequality-adjusted Human Development Index (IHDI), where HDI achievements (what) are penalized for inequalities (how). «Yes, but…»—the question you will hear all the time you present some indicator or index. Indeed the broad picture of the world cannot be captured in one indicators or index, however perfect it could be. To put indexes in broader context, we included a broader set of «context» indicators—how much Government spend on education, health, environment? Do country have environmental protection institutions? What is the quality of education (as judged by PISA test results)? These things are very important, but are not hard enough to make their way into index. Clearly, there are many questions to address to be ‘reasonably certain’ about the index. Trends in index, cross-country comparisons, approach to CO2 emission and energy efficiency of economies are just few of them. This is a short outline of approach to sustainable human development measurement, which will be presented at Armenia side event at Rio+20 conference, alongside with calculations for a number of countries in Europe and Central Asia Region. I hope to see more developments in this area after the Rio+20 conference. Human and Development: What we are talking about?